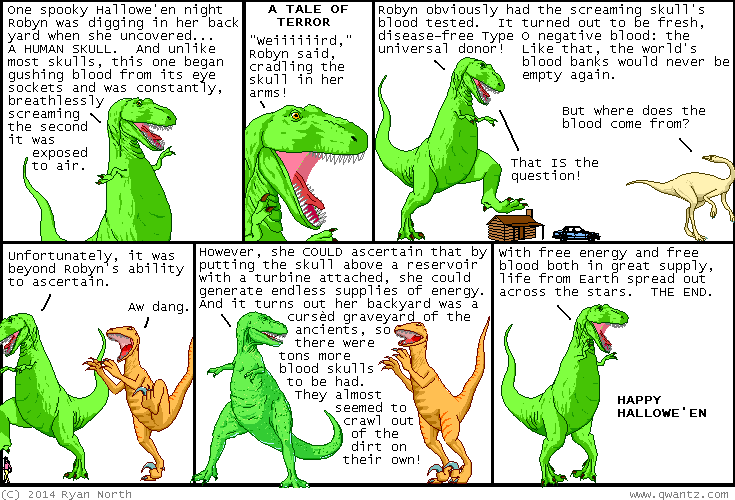 Dinosaur Comics - October 30th, 2014 - awesome fun times! –If gravity reversed right now I would be so pooched! October 30th, 2014: HEY GUESS WHAT?? Adventure Time #33 is out today! You can read a preview here, read a REview here, and buy the book digitally or at your local comic book zone!! One year ago today: omg a spooky tale of terror? ?